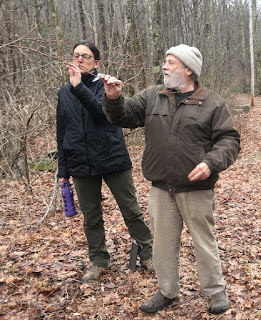 Project Ecologist, John O'Keefe teaches tree ID and how to record stages of Budburst using "forced" branches. 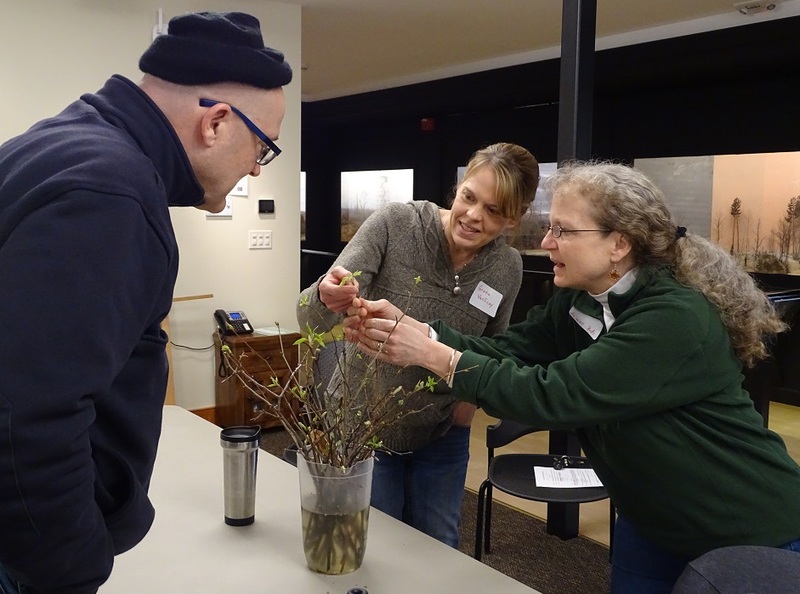 Teachers practice identifying trees and the stages of Budburst using help of experienced Mentor teachers, staff and tree field guides. 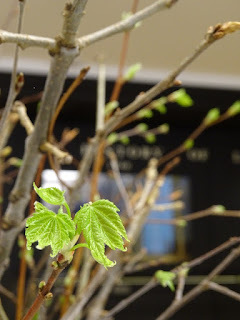 species they found that had begun flowering this year. Hollow and the Hemlock Eddy Flux Tower. which was later analyzed in the lab. 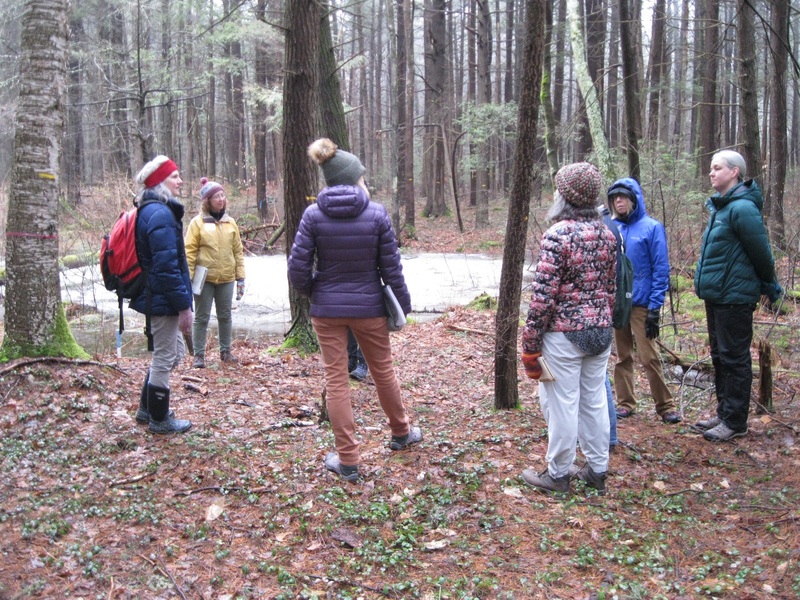 Audrey taught teachers about what scientists at Harvard Forest have learned about changes in the forest up to 10,000 years ago using Paleo-Ecology to look at pollen grains in wetlands like the vernal pool pictured above. I can teach about the Hemlock’s role in carbon storage. Awesome part of the day! 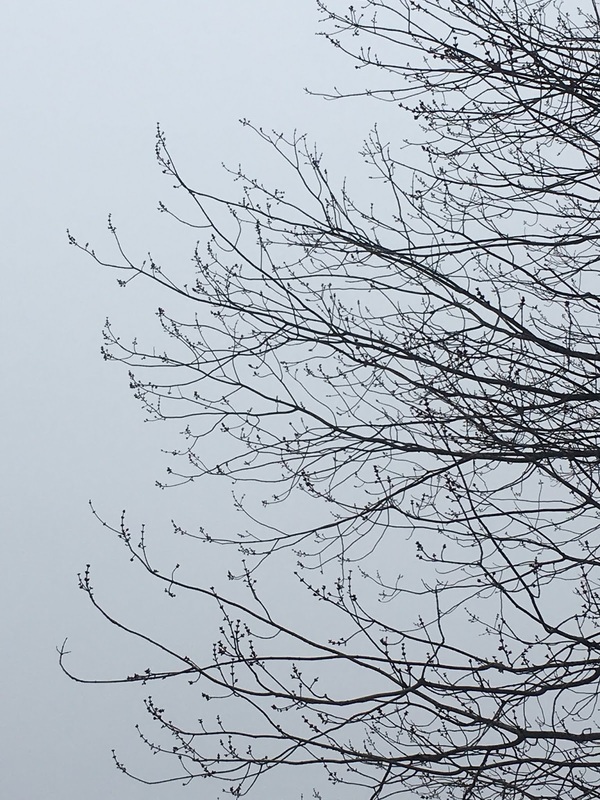 There is nothing better than getting out and seeing and hearing things directly--thank you! As a newcomer, I felt like I was able to get some understanding of how to lead students in counting buds, and which buds. I also have the context of the work to share with students. It is wonderful to hear John talk about his project and how things have changed over the last year. The walk with Audrey was fabulous. It was so good to have a chance to listen to Audrey share her knowledge and have a chance to ask questions. they integrate project themes into classroom curriculum. I loved hearing what other teachers are doing--I can't wait to re work some curriculum for next year. Mary's scaffolding set off "bing!" moments for ways I can make the study come alive for my students. 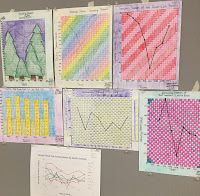 I enjoyed learning more about graphing possibilities with the data. Maybe we could make a location map for our trees with pop outs for each. Mary’s presentation was very helpful in how you can organize and implement the Buds program with Elementary students. 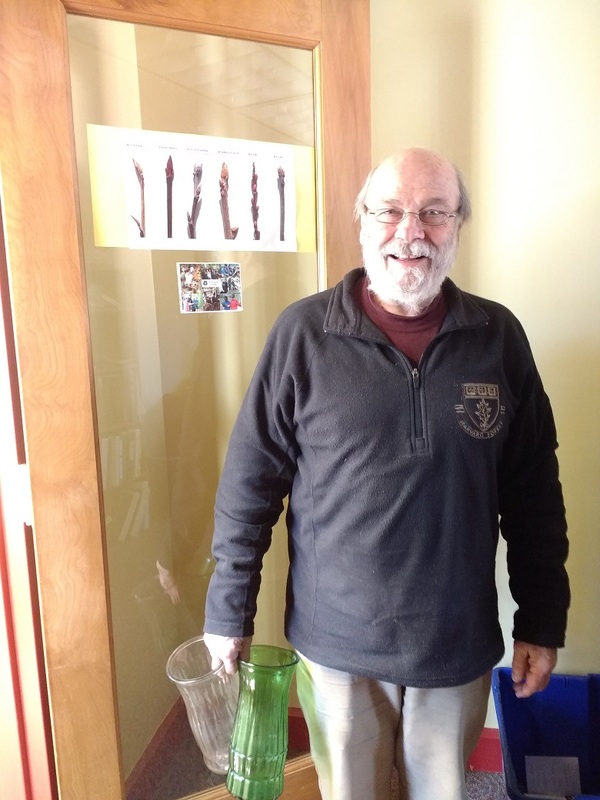 Joe's work was something I might be able to scale down for middle school and Mary's was something I might try to scale up. Mary did an amazing presentation! I really appreciate seeing how this project's data is being used to expand understanding at the elementary level. I loved the chance to see all the ways to use this project in student's learning.a of putting together a book for the students to see their work over the course of a school year. 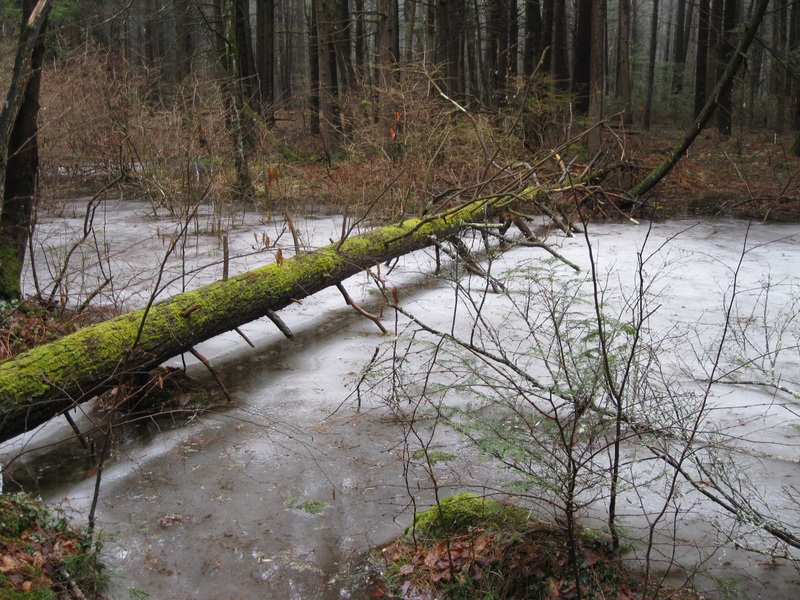 the Our Changing Forest project to larger trends in landscape change over time. 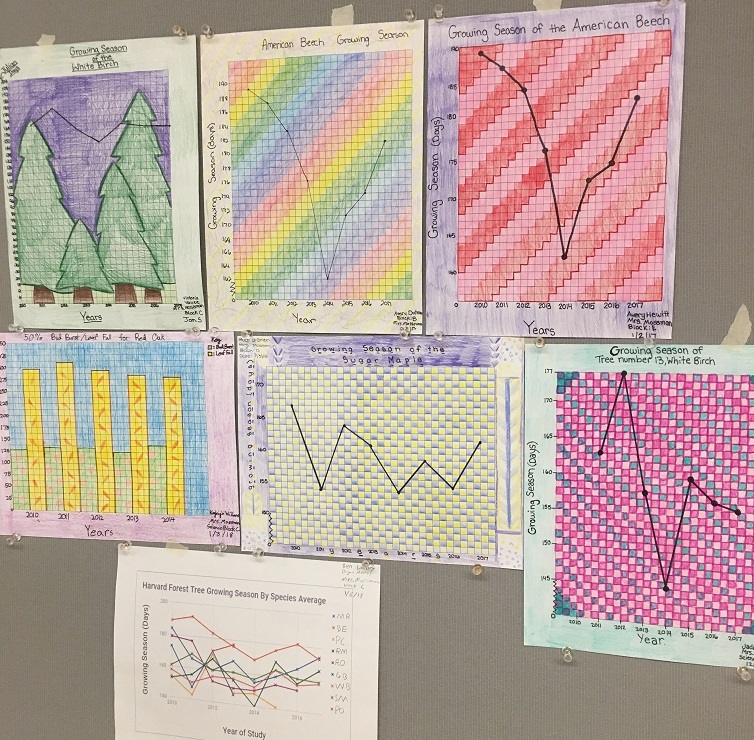 Teacher, JoAnn Mossman from Overlook Middle School in Ashburnham, shared student created graphs of Buds, Leaves and Global Warming data. Most students created hand graphs they decorated in ways that made the graphs visually appealing. One student created a computer generated graph showing all trees over 8 years of the study. The student used a graphing tool from the HF online database to create that graph. St. Mary's Parish School Teacher, Mary Reed, above left and below, shared samples of tree booklets created by her 4th grade students. Mary was able to show how she approached a series of lessons that contributed to that project in a PowerPoint presentation followed by the informal student work session. 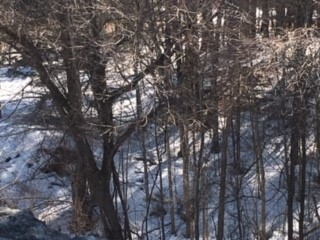 Belchertown, H.S. 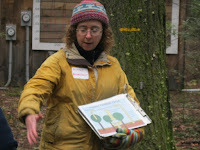 Teacher, Louise Levy shared binders that serve as organizational tools for students to store and keep track of all of their data sheets and information about each of the study trees at their school field site. 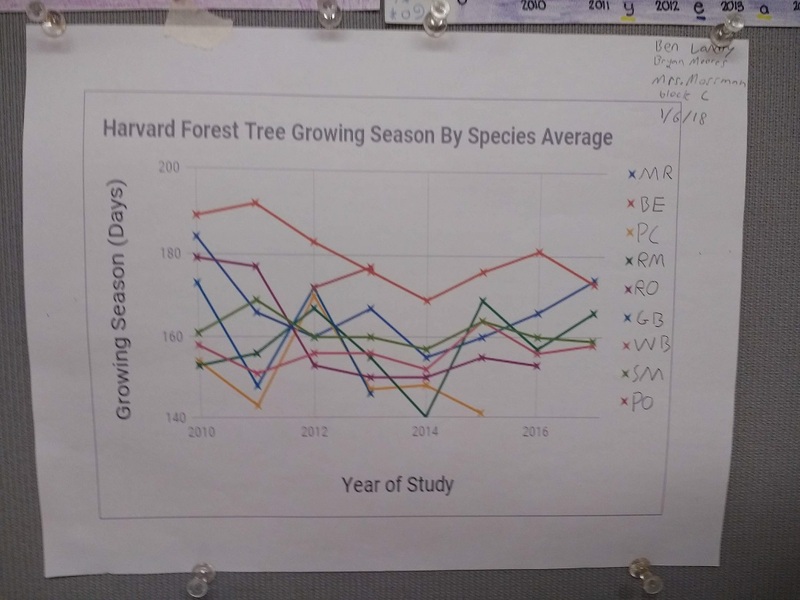 Next year's students will add their data sheets to the same binder in order to keep track of the tree over time, in one place. 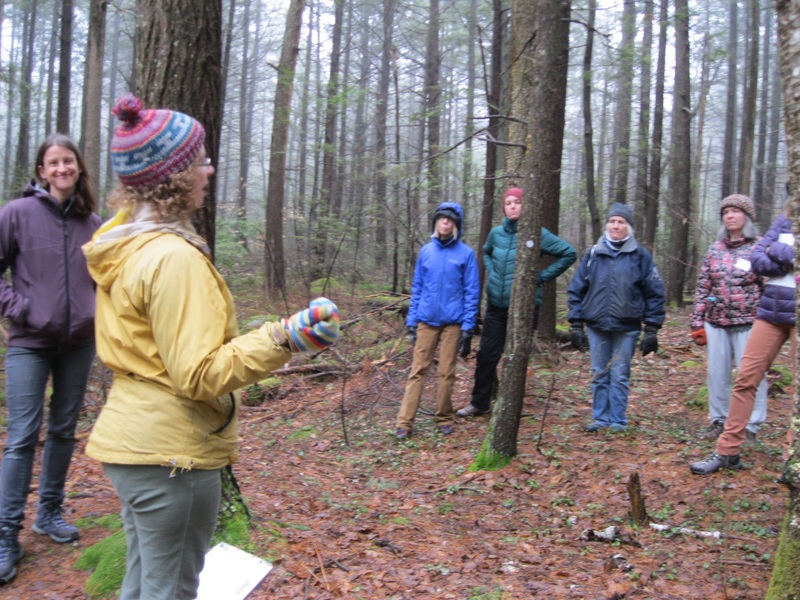 It is great to see what other teachers are doing with their students to bring ecology into the classroom. chance to see all the ways to use this project in student's learning. I loved this! This also gave a time for more information conversation that was very helpful. The walk and having the chance to meet and talk with the staff and the teachers always extends my knowledge and renews my passion. The entire day was fantastic. I loved getting ideas from other teachers. I am so impressed with the good work everyone is doing and I got lots of good ideas. I liked the lightning round to see all the varied work people are doing . Having the chance to meet and hear from other teachers who are inspired to take on such interesting work with students is helpful. 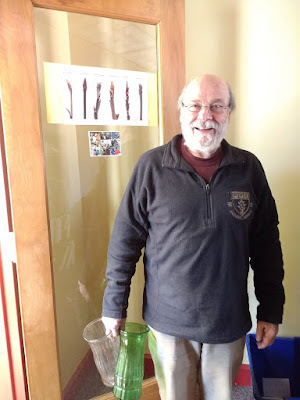 I learned more about the woolly bully and OCF and what other teachers are doing. I love the opportunity to network with other teachers and learn what they are doing across the state. Every time I attend a workshop I feel a little more educated and comfortable with the content and ability to relay information to my students. Re-invigorating, re-dedicating myself to helping my students make meaning of the work. It was wonderful to have people say that my work is valuable. 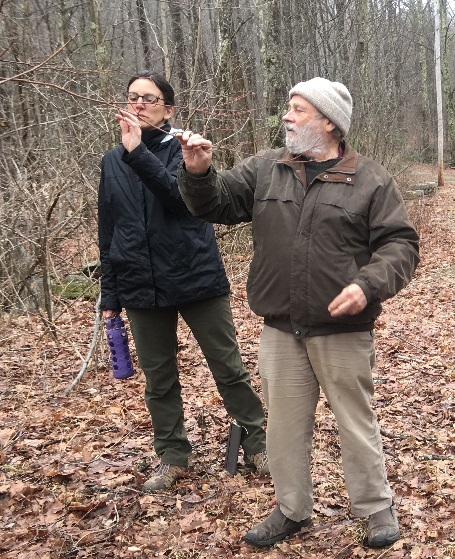 I look forward to sharing paleo-ecology techniques and findings with my students. It was great to hear about the research projects and new learnings at Harvard Forest. I am interested in potentially adding another HF LTER study to my curriculum next year. 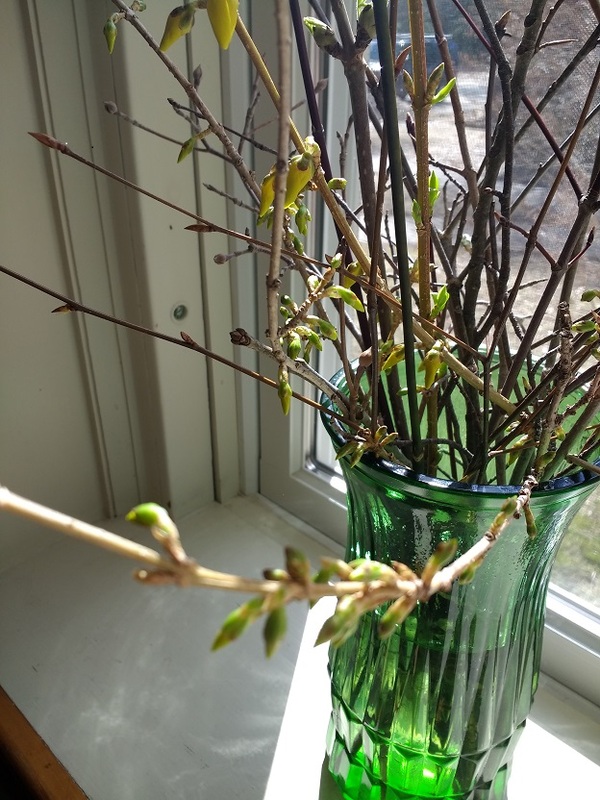 I am deciding between buds or our changing forests. 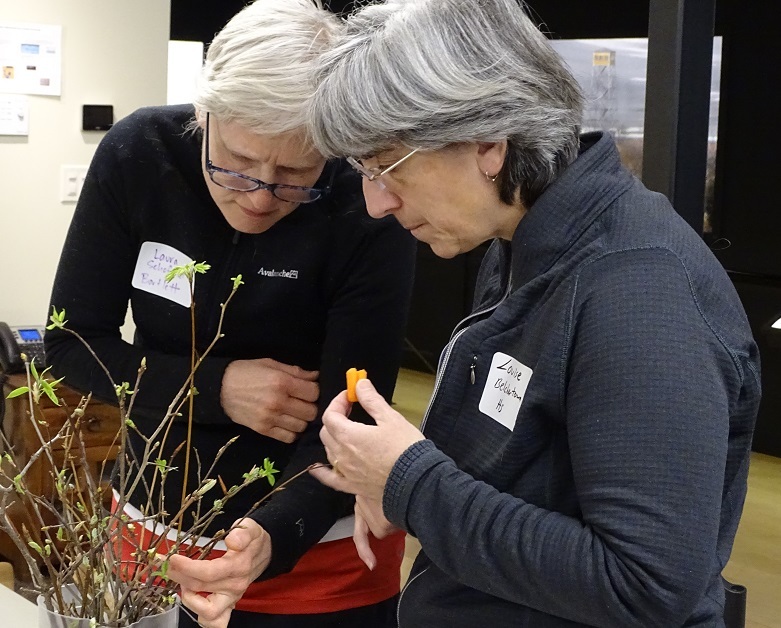 Learning about ancient pollen! This workshop always helps me remember why I am doing this work--to get kids out and learn to love what is around them. Action! What is actually being done at school/site level with students this year? John O'Keefe.2019 Spring Phenology Presentation.pdf including updated graphs of phenology data over time. 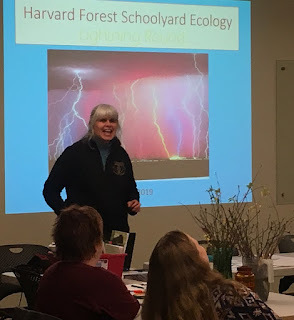 Schoolyard Lightning Round Slides-4-9-19.pdf to get a view of what Schoolyard Ecology looks like at many sites. 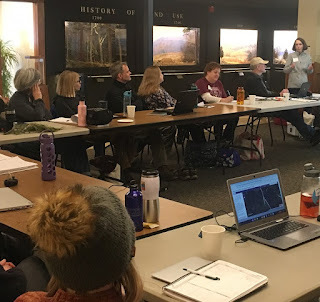 Using TAbleau and Arc GIS to represent OurChangingForests Data. 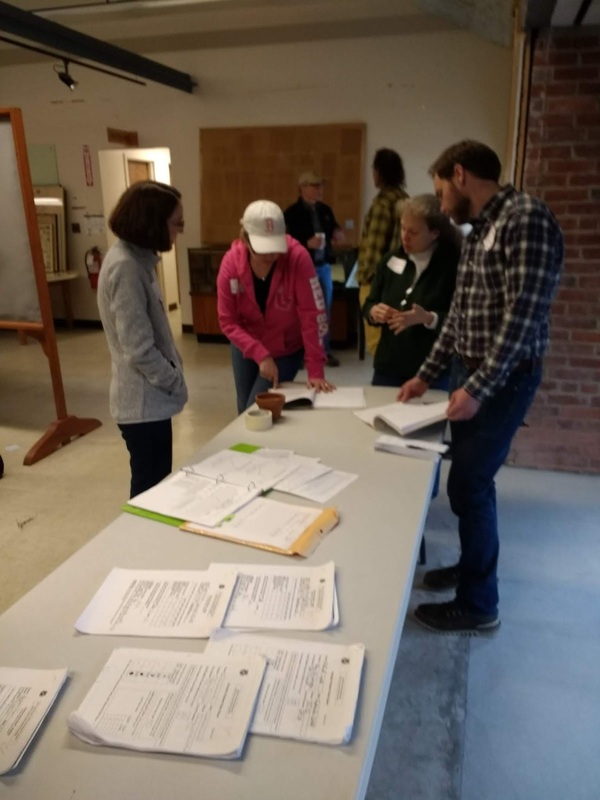 Spring2019Presentation.pdf by Choate Rosemary Hall Teacher, Joe Scanio. 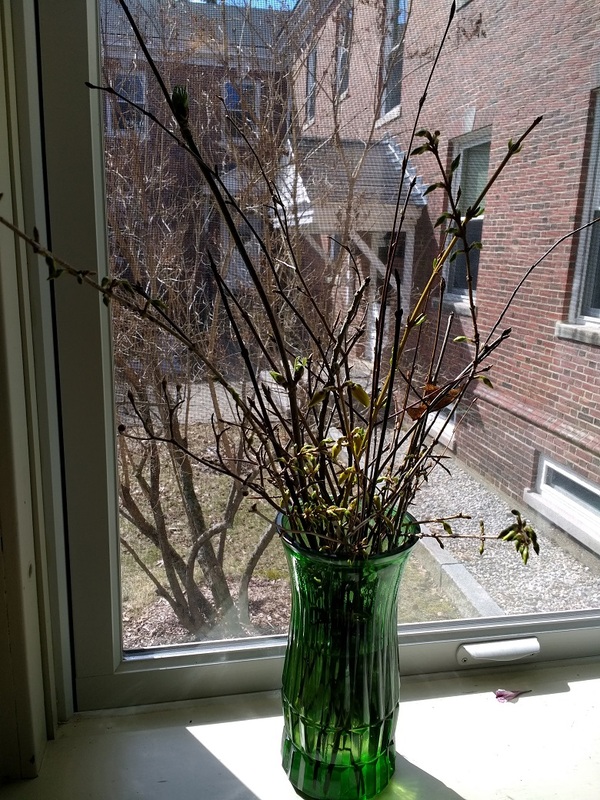 Here is what the buds John collected on 3-26-19 were looking like on 4-1-19 after being inside by a south facing window a few days. Notice that we included some Forsythia for fun and beauty along with native species that are included in John's Phenology study. 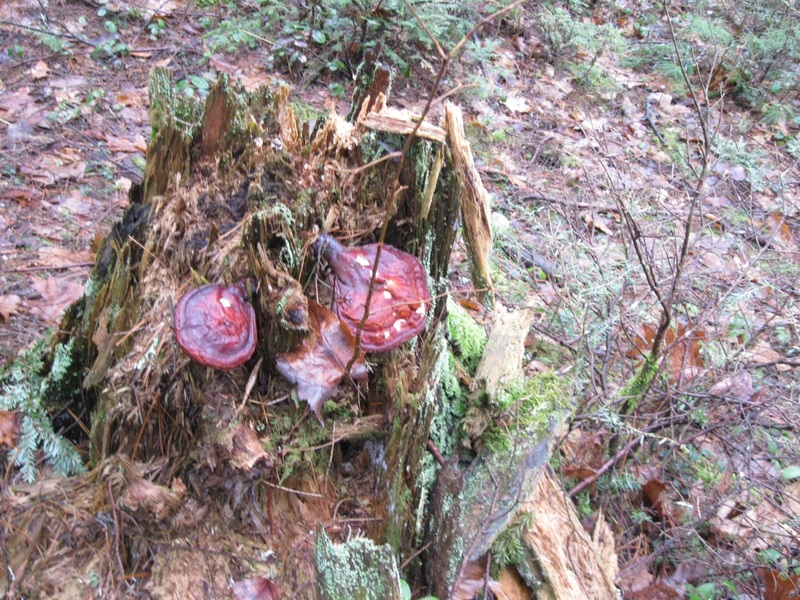 Hanover HS Field Site, N.H. I designed this science log to get students to slow down and really look closely at the buds as well as the bark. 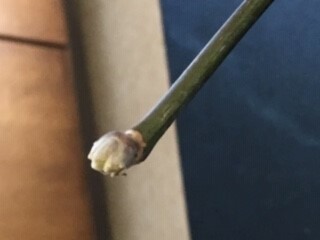 I find this can be a good opportunity to also practice tree ID skills using shape of buds and the positioning of buds as well as color of the bark. 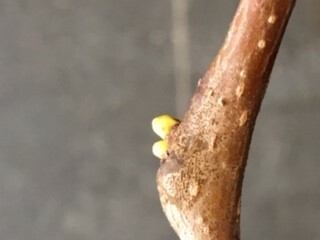 Mostly this gives them an opportunity to track the expansion of buds and eventual opening into either leaves or flowers. This prepares students to accurately complete Spring Phenology field sheets to track the beginning of the growing season. 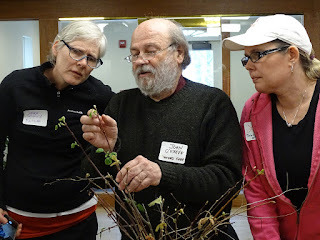 What to Expect for Spring Workshop, April 9, 2019? 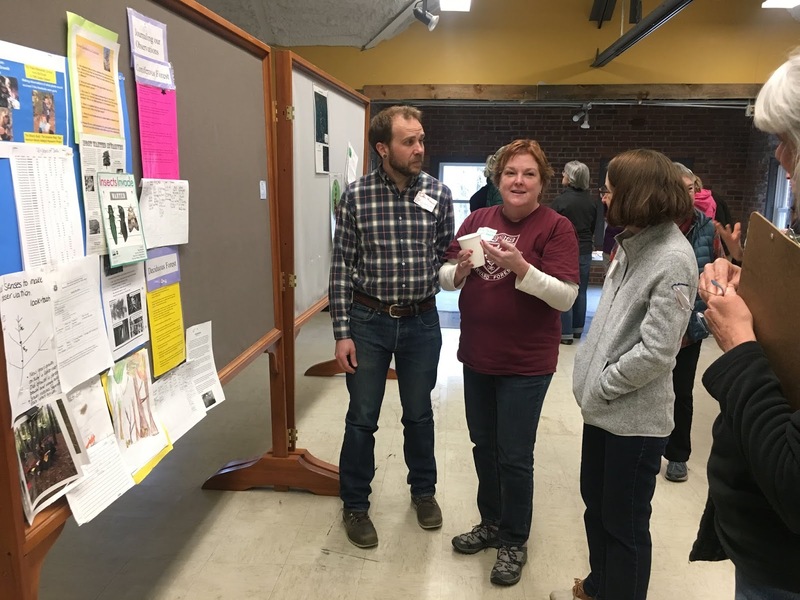 Student Work/"Poster Session". All Workshop participants are encouraged to bring samples of student work to share in a designated space at HF where we all can view samples from multiple schoolyard sites and interact with Educators about how students at their locations are engaging in project related activities/educational content. Teacher Awards for 5 and 10 year Project Leadership. 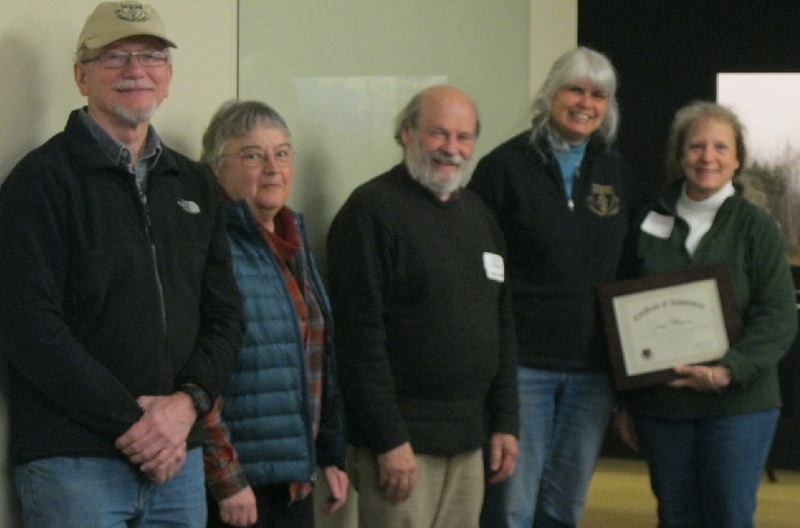 Teachers will be awarded for long term dedicated participation in HF Schoolyard Ecology. Lightning Round. 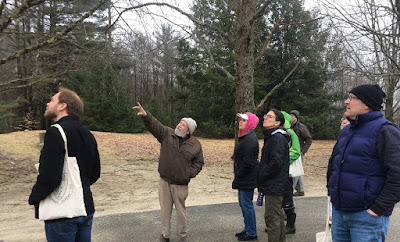 Educators from each site will share 1 slide in 1 minute as part of this fast paced look at what is happening regionally in the frame of HF Schoolyard Ecology. 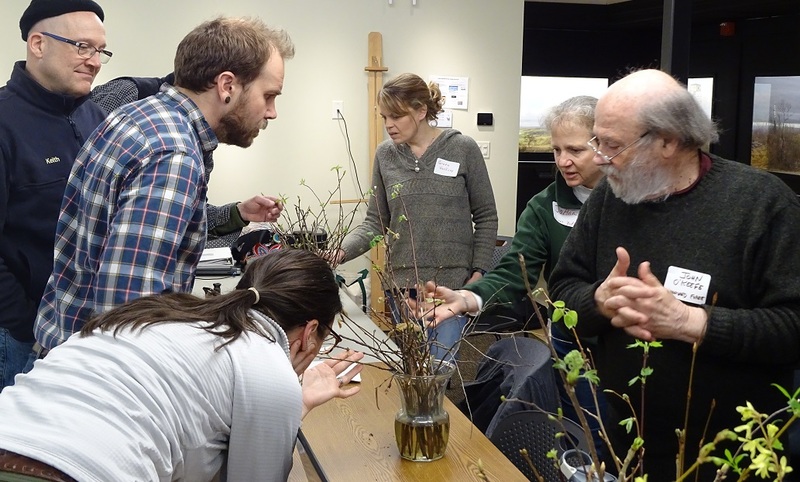 Ecologist-led Breakout Sessions. Get the dirt on seasonal and current changes related to your project Inside and Outside. Teacher presentations. 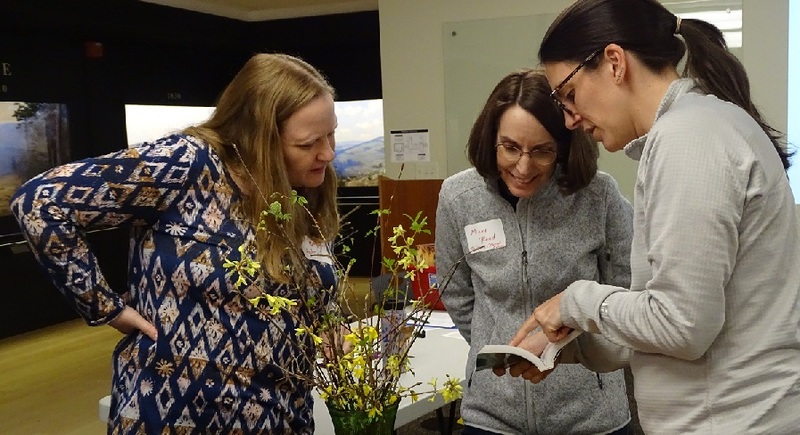 Two teachers will go deeper into how they are integrating project themes into work with students at their sites and classrooms. Contact Pamela at psnow@fas.harvard.edu with your name, project group and school in order to register to join us on April 9th at Harvard Forest. 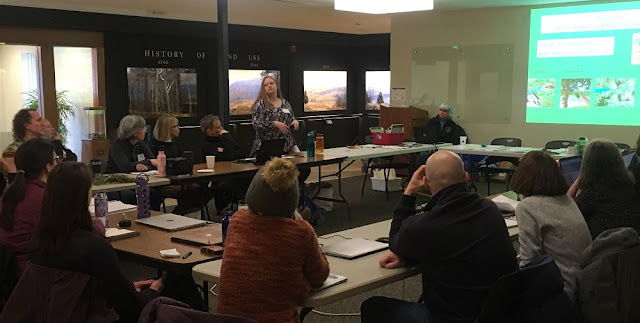 Ecologist, Betsy Colburn opened the workshop with an introduction to Looking at Data. to Looking at Data presentation. Our Changing Forests Teacher, Joe Scanio gave a sneak preview into ways he represents project data spatially. 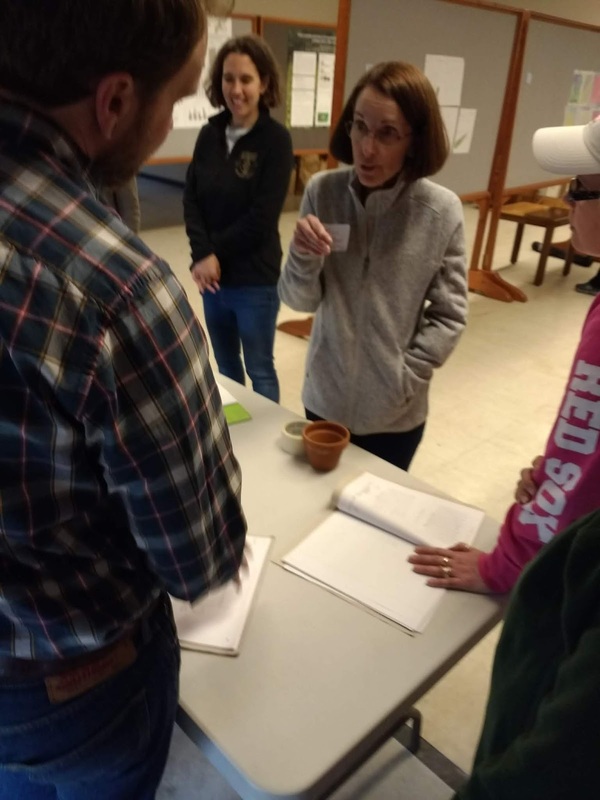 Buds, Leaves and Global Warming Teacher, JoAnn Mossman shared her process of engaging students in producing and interpreting hand graphs of Leaf fall and Length of the Growing Season over time. Harvard Forest Data Manager, Emery Boose provided a detailed introduction to managing and entering Schoolyard Ecology data for 1st year teachers. 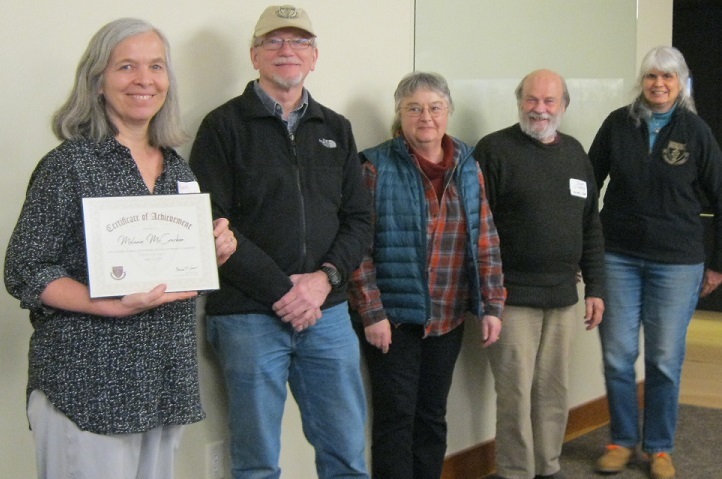 Harvard Forest Mentors and Schoolyard Teachers all had to think outside the box when the Harvard Forest Website guest access was unexpectedly cut off. Mentors worked individually with teachers as they began to find ways of collaborating and finding "work-arounds" to technology issues. 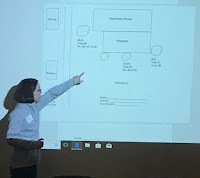 HF Ecologist, Betsy Colburn led a second presentation for experienced Schoolyard teachers who wanted to progress in their ability to lead students in interpreting and/or creating visual representations of their project data. Experienced teachers worked with HF Mentors in approaching ways of representing, interpreting and teaching students what the data is saying. 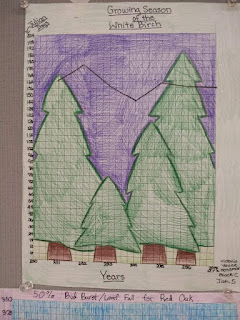 Our Changing Forests Teacher, Melanie McCracken, shared a series of Graphing lessons she worked on during the workshop. 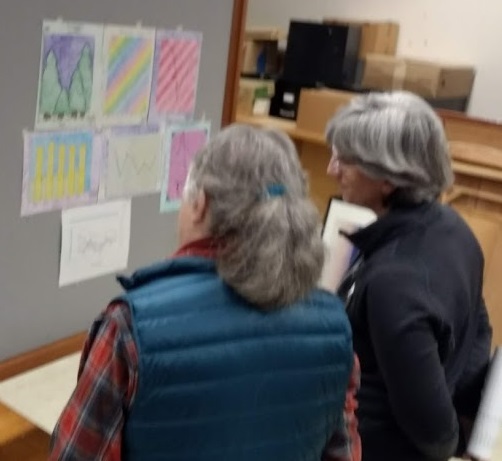 After several years leading 2 Schoolyard Projects at Groton-Dunstable High School, she is still finding better ways of approaching getting her students to work with data in ways that fit in the time constraints of a busy curriculum. studying the timing of leaf fall at their school. Upper Right: Choate-Rosemary Hall Teacher, Joe Scanio, showed a new way of representing Our Changing Forests project data spatially using GIS technology. 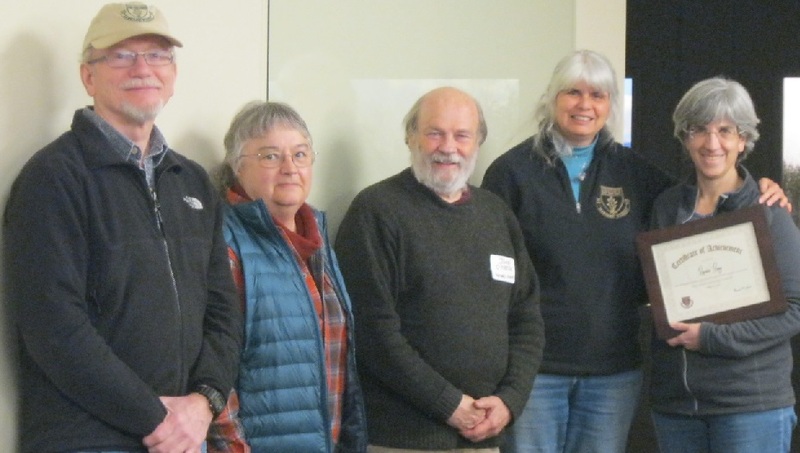 Lower Right: Mass Audubon Educator, Martha Slone, shared how she is helping students in an after-school at Shaughnessy Elementary School in Lowell see what their Buds, Leaves and Global Warming project data is showing. Data uploaded late in day...I practiced with graphing but I want to go back and graph the three local sites. Though I only made it half way, I am very satisfied. The technology challenge provided opportunity to exchange ideas with Ann Lewis as she worked to send my data to me. 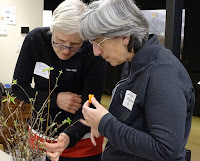 I also connected with Fiona about data nuggets am eager to explore that library and incorporate more real data into my high school ecology lessons. I also exchanged valuable strategies with JoAnn Mossman. 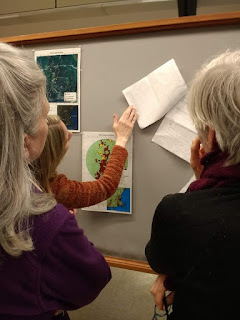 (Not to mention, Dr. O'Keefe and Melanie McCracken) So, all in all, I feel as if the "detour" facilitated valuable collaboration all on the topic of data. I am confident that I can complete my stated goal back at school, therefore I can honestly say I surpassed my goal! I was hoping to input the data but only got it organized. The delay in being able to access the internet delayed the start to us being able to enter data. 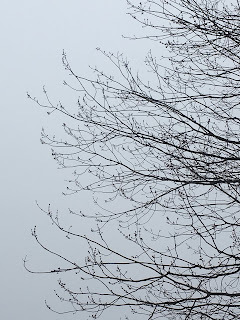 I was able to focus and concentrate just on this task working with project data), and I had a break through. I mostly received clarity about the data I gathered and input and was able to identify a problem I may not have otherwise found. 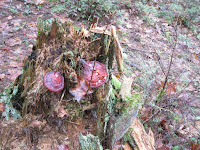 I was able to get a better understanding of how to work with the data from my sites. I also came up with a series of lesson ideas that I will hopefully have time to use this year. More confident because I took time to prepare something I will use. Also seeing and hearing similar as well as different ideas from the other teachers and scientists! Dr. Colburn explains things so crystal clear. Every time I hear her presentation, I learn how important it is to represent the data visually. Good conversation and information. 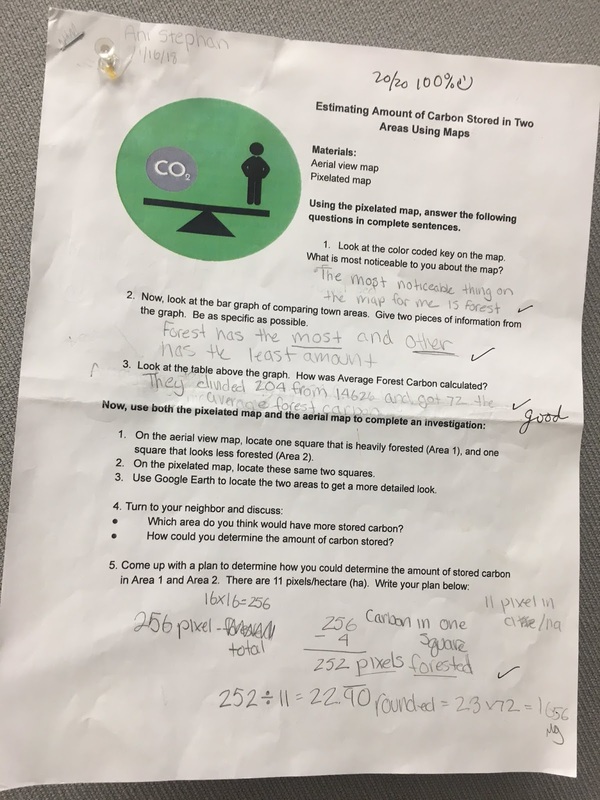 It would be helpful to also have the graphs she (Dr. Colburn) presented with and without the labels so we could discuss this kind of graphical analysis with our own students as well. The information was very useful. Dr. Boose also did a nice job giving us additional information while we waited for people to problem solve the technology. It was helpful to see different types of graphs, how to interpret those graphs and data as it's been a while for me. I rarely get the chance to give this data my full undivided attention. I often find myself getting interrupted at school or multitasking and trying to beat deadlines . This is a rare chance to slow down and honor the work the students did. With the WiFi glitch I did not have time to input data. However all my time was used productively and I could have used some more time to get to speak with all the teachers I hoped to! I graphed on paper particularly due to the tech difficulties. I am interested in exploring online graphing options with support such as this workshop. I enjoy working side by side the Harvard staff and being fully support. It recharges me. The Harvard Forest staff and mentors did a great job of finding a work around for the tech issues. They were tireless in their problem solving. All staff and mentors were positive and extremely responsive! It was wonderful to have all the support from HF staff and from the teachers like Joann who presented but also were available to help. 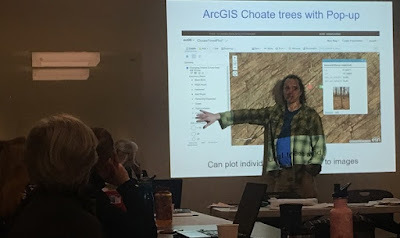 I would love to know more about GIS that Joe presented briefly. 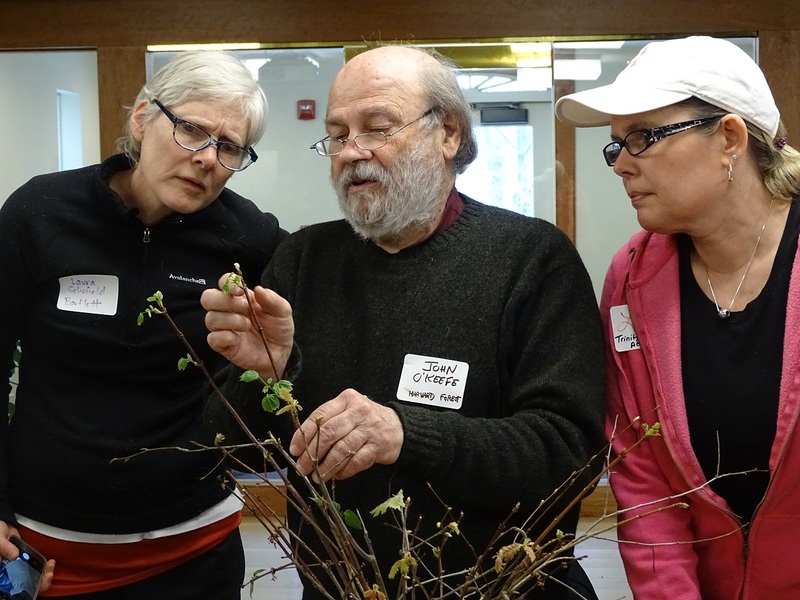 I loved having teachers like Joann and Joe sharing their expertise. I learn so much and am so inspired by all the teachers. The workshop was a great motivator and boost! Learned so much, became more confident in using graphs, the day flew by! Even with the technology issues the workshop was hugely valuable. I came with several questions and all were answered. I had a chance to speak with many teachers and staff members, networking is so important. 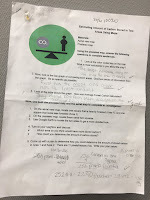 Today seemed perfect (except for internet connection)- I really appreciated the "one-minute" teacher presentations as well as the overview by Betsy. Good availability of mentors! large block of time to work on our next graphing steps in the company of inspiring fellow teachers! 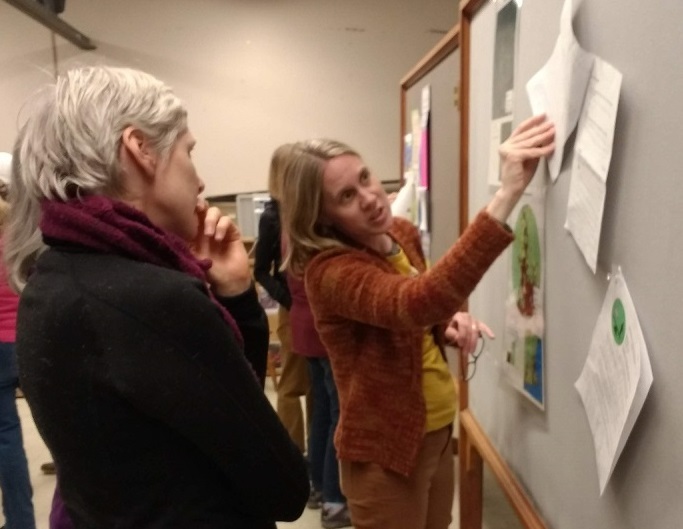 Maybe some time to look at student work? DATE for Spring Workshop TBA-Teachers and Staff are currently submitting availability on Doodle Poll. 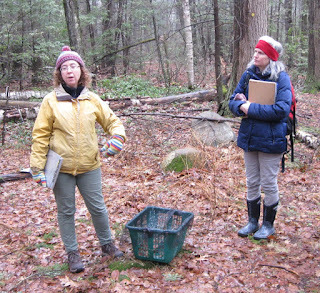 Harvard Forest Schoolyard LTER Program: Field-based ecological research projects and professional development for K-12 students and teachers.